While tractors roll along in the shadows of rail pillars, a huge housing development awaits Supreme Court and City Council action. In West Oahu, green crops soak up sunshine alongside tractors that kick up clouds of dust. Towering above the fields are concrete gray columns, foretelling a transformation that will eventually erase much of the farming that’s been ongoing for decades. This is the site of Hoopili, a planned 11,750-home development that grabbed headlines in 2012 when developer D.R. Horton sought to change the state land designation from agricultural to urban. The company won the Land Use Commission’s approval after lengthy hearings with strong opposition from environmentalists. The controversy has died down somewhat since then but it’s about to ramp up again. The state Supreme Court is expected to rule this fall on two lawsuits challenging the state’s approval of the development. 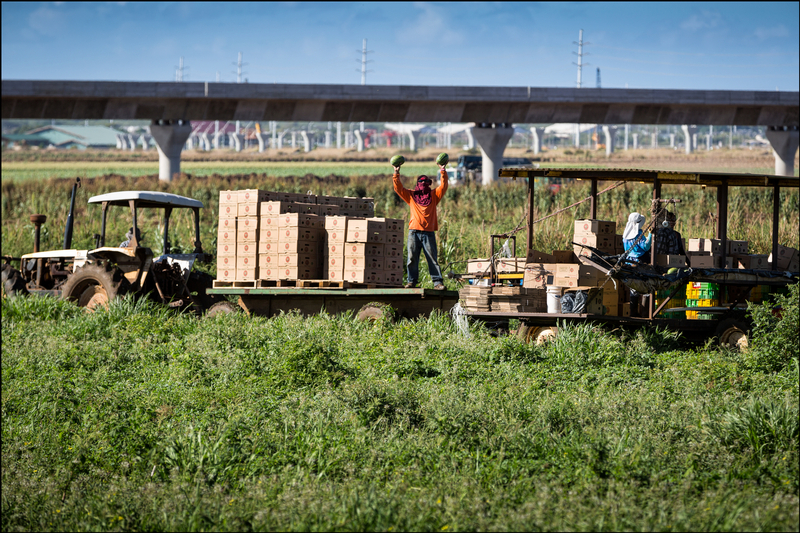 A worker at Aloun Farms holds up fresh watermelons near construction of the HART rail project in Kapolei on Aug. 28. This land is the future site of the Hoopili housing development. Anthony Aalto, the chair of the Oahu branch of the Sierra Club, believes it’s time for council members to take a stand for Hawaii’s long-term food security, economy and self-sufficiency. 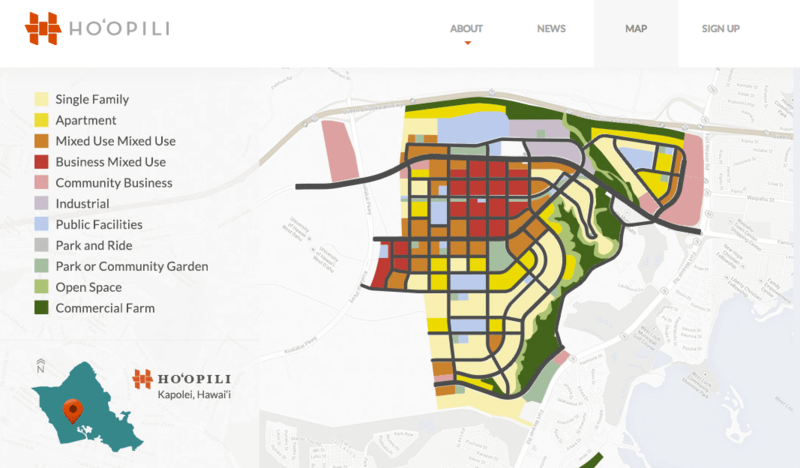 But supporters of the Hoopili development point to the city’s 30-year-old plan to build a “Second City” in Kapolei and say it’s been long enough. “In order to support the rapid revolutionizing of West Oahu, the time to build the Hoopili community is now,” said D.R. Horton executive Cameron Nekota. In many ways, Kapolei is the suburban alternative to urban Honolulu. Roads are spacious and the buildings are new. There don’t seem to be any homeless people, and no high-rises block views of the mountains or sea. But with three rail stations planned, a growing University of Hawaii West Oahu campus and the state’s third-biggest shopping center in the works, that’s likely to change. The population is increasing, and the city Department of Planning and Permitting predicts the number of households in Kapolei will rise from about 30,000 to 56,000 by 2035. Hoopili is at the center of the transformation, with one of the city’s planned rail stations even named after the proposed residential community. The project is scheduled to be be built in phases over 20 years, with 5,000 homes in the first 10 years. Eighty percent of them would be multi-family residences like town homes and the rest would be single-family homes, Nekota said. Given that D.R. Horton targets first-time homebuyers, Nekota said that if the project were being built today, prices would range from the high $200,000s to the $600,000s. Because the developer is seeking a zone change, the project would also have to comply with the city’s affordable housing requirement in which a portion of the homes are set aside for people earning no more than 140 percent of area median income, which is currently $115,640 for a family of four. The project includes five schools, a community garden and 200 acres of preserved farmland that D.R. Horton carved out to try to appease environmentalists. Nekota described the plan “as one of the most dense projects built on Oahu” because all 11,750 units will fit within about 800 acres. At their tallest, the buildings will reach 90 feet and incorporate both residential and commercial uses. “It has all the things that people like about Ward Village, but we make it affordable,” Nekota said. More affordable housing may sound appealing, but critics like the Sierra Club’s Aalto say D.R. Horton is missing the bigger picture. About 85 percent of the farmland included in the 1,553-acre development is considered “prime,” according to the state’s agricultural productivity analysis. Another state study by the Land Study Bureau found that more than 90 percent of the land was considered good or very good for farming. Farming still takes place alongside rail construction at the site of the planned Hoopili development. In a state where more than 85 percent of food is imported, Aalto says it makes no sense to pave over some of the best farmland, especially with climate change projections showing that Hawaii’s tourism economy is in danger. Aalto agrees there’s a need for affordable housing, but he said placing it on top of productive agricultural land is misguided. D.R. Horton’s application is merely the latest in a long-term statewide trend of developing agricultural land. The Sierra Club, along with state Sen. Clayton Hee, is challenging Hoopili in court, contending its approval violated the state’s constitutional obligation to protect farmland. 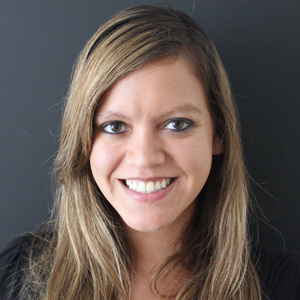 Kioni Dudley from the community group Friends of Makakilo, is pursuing a second lawsuit against the project. Both cases have been accepted by the state Supreme Court. Both Aalto and Dudley warn that the City Council shouldn’t green-light the project while the development is still being litigated. 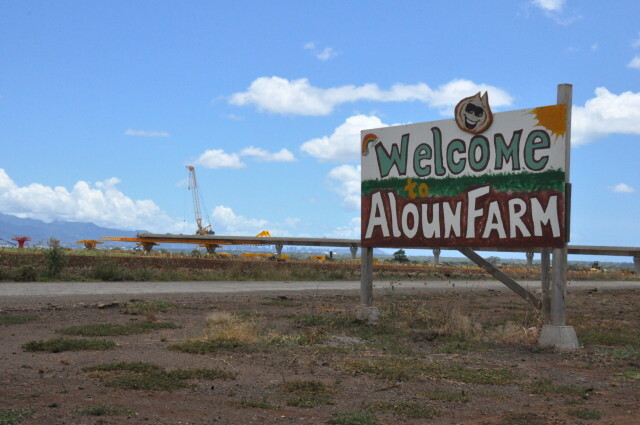 Aalto compares the Hoopili development to the plan for 3,500 homes in Koa Ridge, a project that the city approved last fall over concerns about the loss of farmland. The Sierra Club bought radio ads and went door-to-door in neighborhoods hoping to sway council members who were on the fence about the project, but to no avail. The City Council voted unanimously for rezoning approval, although four of the nine members had reservations. Aalto says the goal this time around is to try to get at least one more council member on the side of opponents, and convince all five to vote against the project. But it looks like an uphill battle. A sign advertising Aloun Farms sits on farmland that’s slated for development. The Department of Planning and Permitting has until Oct. 30 to review D.R. Horton’s application and it’s likely that city planners will push the project through the Honolulu Planning Commission. Once the rezoning application gets to the City Council, it’s in the hands of Councilman Ikaika Anderson. 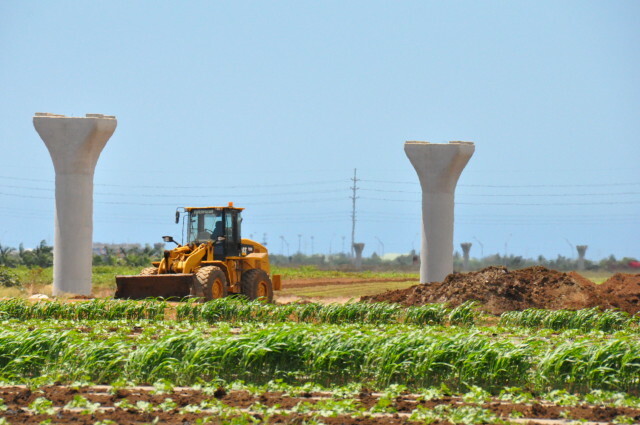 The chairman of the Zoning and Planning Committee said he’ll reserve judgement until he sees the application, but added that in principle, he supports the Oahu General Plan that calls for developing Kapolei. D.R. Horton employees have donated more than $11,000 this election cycle to City Council members, including $5,750 to Chair Ernie Martin. The developer’s employees also gave Mayor Kirk Caldwell $7,800 this election cycle, even though he’s not up for re-election. And while the Sierra Club’s biggest argument against the project is that it will wipe out valuable farmland, proponents dismiss those concerns. A 2008 agricultural study paid for by D.R. Horton said there will be “little or no loss” in statewide agricultural production if the residential community is built because the farms can relocate elsewhere on Oahu or on other islands. The company has also launched a “Grown in Hoopili” label for produce to advertise that there will still be some farming in the area. The land’s biggest tenant now is Aloun Farms, which supports the project. City Councilwoman Kymberly Pine, who represents the Leeward Coast, said the state has already invested money in Central Oahu to help preserve agricultural land. Honolulu’s median home price hit a record high of $700,000 earlier this year, and is expected to go higher. Kapolei is up and coming, with an April study by the consumer advocacy site NerdWallet naming the neighborhood as the best place to buy a home in Hawaii. Pine pointed to city data showing that more than 53,000 jobs are expected in Kapolei by 2015. “We’re a city now and people aren’t realizing that,” Pine said. A previous version of this story incorrectly stated that city affordable housing requirements cap income-specific housing at 120 percent of area median income.